Unauthorised building works and building orders have long been the subject of conveyancing litigation. Building orders are not, however, the only form of government notices that may affect the title to a property. Fire safety directions issued under s. 5 of the Fire Safety (Buildings) Ordinance, Cap. 572 (‘the Ordinance’), though often overlooked, are in fact equally common in individual properties and buildings. Such directions usually relate to improvement or alteration works regarding a property and/or building’s means of fire escape, access for firefighting and/or measures inhibiting the spread of fire. The importance and potential severity of such directions are not to be overlooked. Section 5(8) of the Ordinance provides that a failure to comply amounts to an offence and may result in the imposition of a Prohibition Order under s. 7(7) prohibiting occupation of the building concerned. Contravention of a Prohibition Order may lead to a monetary fine and imprisonment for three years. This article will suggest that the mere existence of fire safety directions, regardless of whether they pertain to one’s individual property or to the common areas of a building at which one’s property is situated, may affect an owner’s ability to sell his property by potentially constituting an encumbrance on his title to the property in the form of potential monetary and/or criminal liability (Section B). Depending on the particular facts of each case, fire safety directions may also affect a vendor’s ability to honour his contractual obligations under the sale and purchase agreement (Section C). This section will focus on how fire safety directions may affect a vendor’s ability to give good title to his property if either his property and/or the common areas of the building at which his property is situated is laden with fire safety directions. For the sake of completeness, readers will of course note that independent to a vendor’s duty to give good title is his duty to show good title to the property. This however is not a topic apt for general discussion in this article, as the duty to show good title necessarily depends on how requisitions were dealt with in a specific conveyancing context. Fire safety directions often require compliance works to be carried out to the property or the common areas of the building in question. 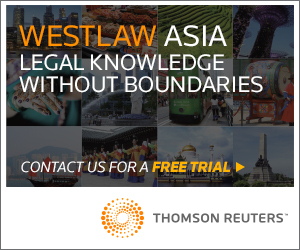 The possible liability as purchaser to pay or contribute to unpaid bills for building repairs which are of an extent beyond a reasonable person’s expectation may constitute a blot on the vendor’s title: see Sihombing and Wilkinson, Hong Kong Conveyancing Law and Practice, Volume 1(A) at V [142.1]. This statement is true not only as regards building repairs of the particular property, but also those relating to the common parts of the building the property concerned is situated at. In Chi Kit Co. Ltd & Another v. Lucky Health International Enterprise Ltd  3 HKCFAR 268 (‘Chi Kit’), the vendor failed to disclose to a prospective purchaser the existence of a personal injury claim that had been brought against the incorporated owners of the building. Eventually a judgment of over HKD25 million was entered against the incorporated owners. The Court of Final Appeal held that there was a blot on the title of the property by reason of the liability arising from the judgment. Bokhary PJ and Mason NPJ held (at p. 282A-B) that while there may be many liabilities which are the ordinary incidents of property ownership, a liability of an owner to meet a contribution to the incorporated owners would constitute a defect in title “if it were so extraordinary having regard to matters such as its nature or magnitude as to be wholly outside the contemplation of a reasonable purchaser” (see also pp. 284J-285B). See also the case of All Ports Holdings Ltd v. Grandfix Ltd  2 HKLRD 630 (CA) (‘All Ports Holding Ltd’) at §§ 20-22, where the Court of Appeal held (applying Chi Kit) that the existence of an extraordinary liability to contribute funds to the incorporated owners could constitute a defect in title. 5) The Fire Services Ordinance, Cap. 95, contained no provision for registration of such directions against the titles of co-owners (§ 12). 2) Any possible complexity in the allocation of costs for compliance c.f. E-Global, where the costs of compliance could simply be divided proportionately amongst owners of 400 or so units in the building in accordance with their respective shares. 3) The nature of the compliance works required. 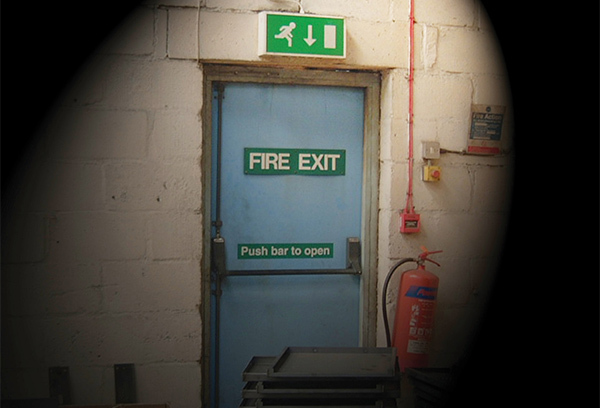 In E-Global, the directions were more in the nature of an “ongoing need to upgrade fire safety measures” and pertained to “the replacement of doors and installation of signs on the building”, which were matters so “trivial” that it was deemed impractical to require a surveyor or other professionals to prepare an estimate of costs (see § 20 of judgment). There may however be cases distinguishable from E-Global, where compliance with the particular fire safety directions issued cannot be said to be in the form of “ongoing need to upgrade fire safety measures” but, instead, substantial construction works to build something that did not exist, for example, to build new sprinkler heads, to install fire alarms, etc. 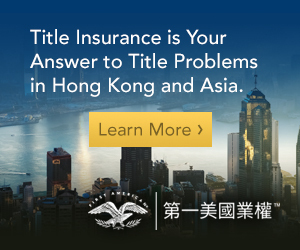 In the more recent case of Gigabillion Asia Pacific Ltd v. Sino Dynamic International Ltd  2 HKLRD 100, Cheung CJHC again explained at §21 that as held in Chi Kit, an “encumbrance” that affects title is not limited to some claim to the property or a charge which may be imposed upon the property. A mere liability, or a mere (but real) risk of a liability to make a substantial contribution may, by itself, constitute an encumbrance as it is the liability to pay a huge amount of contribution that is wholly outside the contemplation of a reasonable purchaser that binds the unit and therefore can constitute a blot on the title or an encumbrance. The liability also binds successive owners of the unit so long as the contribution remains unpaid. It would therefore appear that the registrability of fire safety directions against a property does not provide a complete answer insofar as title is concerned. E-Global also referred to the absence of imminent fire safety concerns. Although the deputy judge did not elaborate on its relevance in the judgment and whilst there is a lack of authorities and guidelines on how and under what circumstances fire safety directions would be enforced, what is clear is that a failure to comply amounts to an offence under s. 5(8) of the Ordinance particularly when there is an imminent fire safety concern, and may result in the imposition of a Prohibition Order under s. 7(7) of the Ordinance prohibiting occupation of the property concerned. Contravention of a Prohibition Order may potentially lead to imprisonment. It is therefore noteworthy that, in purchasing a property that is either subject to fire safety directions itself or is situated in a building whose common areas are subject to fire safety directions, a purchaser may, depending on the facts, also be purchasing a potential criminal liability should enforcement action be taken. This would constitute an encumbrance on the title of the property: Wong On v. Lam Shi Enterprises Ltd (unrep., MP 2549/1995,  HKLY 811) per Le Pichon J at §17 that the possibility of a potential criminal liability or a potential claim affected a vendor’s ability to show good title; later followed in Sun Lai Fong Keller v. Leung Wing Kit  1 HKLRD 436, 440. Depending on the facts, compliance with fire safety directions may also affect a vendor’s ability to honour his contractual obligations under the sale and purchase agreement. This of course depends on the facts of each case and this section will therefore only highlight a few potential problematic areas. Without seeking to be exhaustive, compliance works may, for example, affect the usable area, size or layout of the property in question, thereby affecting the vendor’s ability to sell the property “as is” to the purchaser. A Prohibition Order prohibiting occupation of the property in question may also affect a vendor’s ability to give vacant possession of the property. If the property is sold subject to an existing tenancy, the Prohibition Order could affect the tenancy and, depending on the terms of the contract, this might in turn affect the vendor’s ability to sell the property subject to the tenancy concerned. All of these are issues that may constitute a breach of contract on the part of the vendor. In conclusion, an array of potential problems may be caused by the existence of fire safety directions. 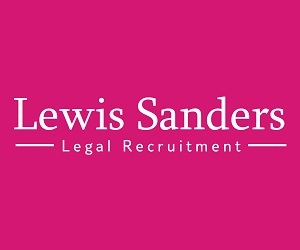 Although often overlooked, it would appear that this area of the law is more complex than what appears at first blush, and vendors of properties that are either laden with fire services directions themselves or situated in buildings subject to fire safety directions should be advised that there may potentially be difficulties in their ability to sell their properties unless these directions are complied with before the sale. Special contractual provisions may also have to be tailored in the sale and purchase agreement to minimise if not eliminate the problems that may arise. 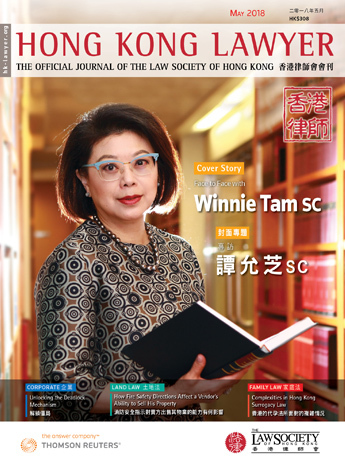 Prisca Cheung is a barrister at Sir Oswald Cheung’s Chambers. She has completed her legal studies at the University of Oxford, and was a recipient of the Middle Temple Advocacy Scholarship. Prisca’s practice covers a wide range of civil and commercial cases, with an emphasis on land and probate matters. She has worked and advised on areas including tax, the Securities and Futures Ordinance (Cap 571), judicial review, insurance and matrimonial. Prisca is a contributing editor to the Hong Kong Civil Procedure (Part H: Companies and Winding-up), and is a committee member of the Greater China Affairs Committee of the Hong Kong Bar Association.